Preity Zinta and Gene Goodenough Throw a Grand Reception! Bollywood is abuzz with the feverish glow of matrimony. After the much talked about “Monkey Wedding” of Bipasha Basu and Karan Singh Grover, the newly married Preity Zinta and her husband Gene Goodenough threw a grand reception. 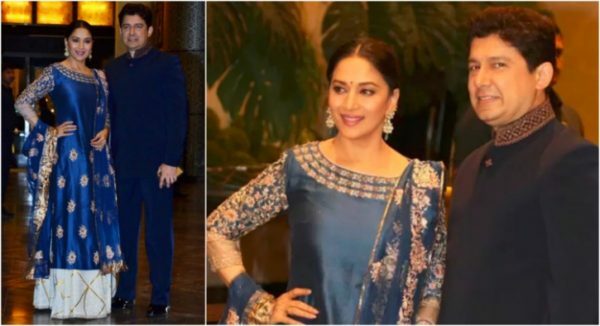 A retinue of stars turned up to impart good wishes to the new couple, including Preity’s co-stars, and we are just star stunned! Also Read: Congratulations To Preity Zinta On Her Marriage With Gene!! The who’s who of not only entertainment industry, but also from the world of cricket, had turned up to attend the function, and we could just stare agape at the gala inflow of glam in all its glory, as the starry style fiesta unfolded before us. Take a look at the guests. 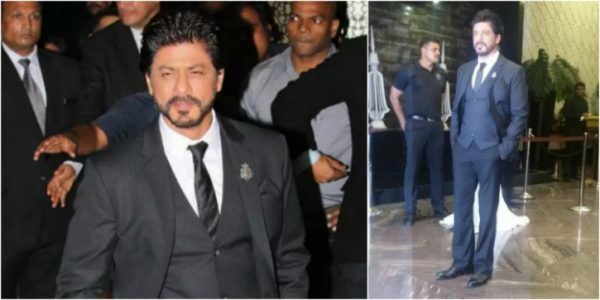 Shah Rukh Khan turned up looking as dashing as ever in a tuxedo. After all, Aman would not miss a chance of being a part of Naina’s happily ever after. 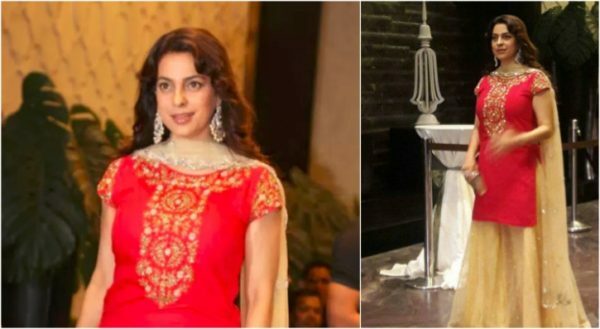 Juhi Chawla looked beguiling as ever in the red and gold wear. Oh, and that smile is killer as ever. We fell in love with the charming and effervescent Lara Dutta, who looked a beguiling sight in a black saree. Hubby Mahesh Bhupati complemented her well in his formal wear. Shahid Kapoor too attended the reception, with his radiantly pregnant wife, Mira Rajput. And then our eyes fell on Sophie Chodhry, who looked stunning beyond words. Her peach and floral gown made her flow like a perfection, giving us fashion goals for sure. For Yuvraj Singh and Hazel Keech, they were completely beneath a cloud that spelled “In Love” in caps. They looked absolutely adorable, holding hands, anticipating their own big day. Trust Madhuri Dixit to make our hearts go dhak dhak, even now, when she is nearing 50. She looked regal in the blue Indian wear with golden embellishments. Hubby Dr. Nene looked his sober self in the black Pathan Suit that he donned for the function. The highlight of the evening, apart from the ever-so-happy bride and groom, was the entry of Salman Khan, who made his first public appearance with his girlfriend Lulia Ventur. This truly was a night to remember. We wish Mr and Mrs Goodenough all the happiness in the world. Preity! We are enthralled as you begin your new innings in life. Previous : Aishwarya Rai Bachchan For Sarbjit Premiers at Cannes! Next : Sonam Kapoor Dazzles at Cannes 2016 With Her Sassy Style!